MONTREAL, June 21 2018 – A major gathering is taking place in the heart of Montreal’s Quartier de l’Innovation June 24 – 26 2018. Hosted jointly by Impact Hub Montreal and Impact Hub Ottawa, Impact Hub’s Global Makers Festival will bring together international leaders of the social impact scene. The main objective of the event is to discuss and share best practices about the power of community and large-scale collaborations – and for that reason, to use the opportunity to connect Montreal’s top social entrepreneurs with global leaders coming from 100+ cities in 50+ countries. It will also be the occasion to officially launch the Impact Hub chapter in Montreal. The City of Montreal and the Ministry of International Relations and Francophonie is proud to partner with Impact Hub to host the Global Makers Festival as first international social impact gathering in Canada. They contribute to making this event a must-attend event for committed social entrepreneurs of Montreal and offers them the possibility to access local and international resources to accelerate their project and develop new markets. “More than ever, the City of Montreal is committed to supporting Montreal’s entrepreneurship ecosystem. Its support to initiatives such as Je fais Montréal and the 200 projects it supports, or the most recent action plan in entrepreneurship and social innovation are great examples”, declared Robert Beaudry, responsible for economic development at City of Montreal’s Executive Committee. “An event like Impact Hub’s Global Makers Festival is aligned with this strategy since it enables Montreal’s entrepreneurs and changemakers to get the tools they need, to get inspired and to develop their international network”, added Mr. Beaudry. “It’s a real pleasure to support initiatives like Impact Hub which are contributing to Quebec’s efforts in terms of social and economic development. Within this effort, social entrepreneurship is of special importance since it benefits the whole society and supports Quebec’s objective to contribute to global sustainable development. 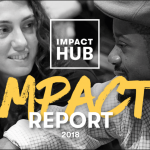 I salute Impact Hub’s efforts to contribute to the growth of the ecosystems and wish the network and Impact Hub Montreal, in particular, a lasting success!” declared the Honorable Christine St-Pierre, Quebec’s Minister of International Relations. “Impact Hub’s Global Makers Festival is a celebration of our global network. It’s a powerful collaborative network in 100+ cities, and we are delighted to connect Montreal’s unique ecosystem with our leaders”, explains Impact Hub Montreal’s co-founder and Director of Operations, Charles Beaudry. 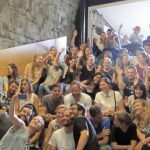 WHAT: Impact Hub Montreal is hosting the annual Global Gathering – Makers Festival, an international gathering of 200 social entrepreneurs from Montreal, Ottawa and around the world. The event also marks the official launch of Impact Hub Montreal. 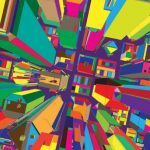 ENTREPRENEURSHIP AND SOCIAL IMPACT IN MONTREAL: The province of Quebec is an international reference when it comes to social impact. Social entrepreneurship is defined as a business model which main motivation is to tackle a global challenge or a societal issue. It emphasizes social rather than financial impact. In Quebec, social entrepreneurship is a 2 billion dollars industry and more than 3500 organizations in health, culture and tourism are part of this vibrant ecosystem. One of Impact Hub’s mission is to help those organizations scale. Inspire, showcase the best practices and case studies in social entrepreneurship. Convene, the whole ecosystem by offering a collaborative space in the heart of the Innovation District. Scale, leverage its global network in 100+ cities to make projects unfold on a global scale. Impact Hub is a global network focused on building communities for impact at scale. With 100+ communities of 16,000+ change-driven entrepreneurs in more than 50 countries across five continents, Impact Hub is the world’s largest community and accelerator for positive change. Impact Hub supports building ecosystems to drive collaboration and entrepreneurial innovation around the Global Sustainable Development Goals through locally rooted Impact Hubs, as well as partners and allied networks. instagram Created with Sketch. youtube Created with Sketch.